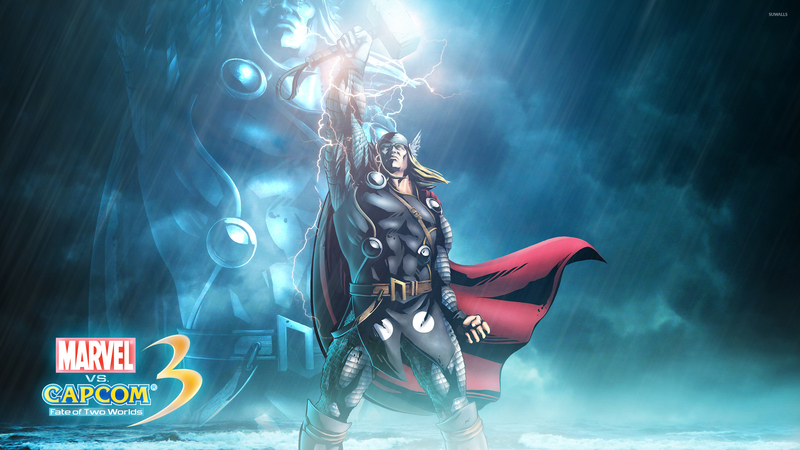 Marvel vs. Capcom 3 Thor Game desktop wallpaper, Marvel vs. Capcom wallpaper, Thor wallpaper, Game wallpaper - Games no. 2748. 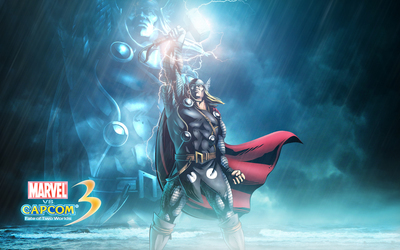 Download this Marvel vs. Capcom 3 Thor Marvel vs. Capcom Thor desktop wallpaper in multiple resolutions for free. Marvel vs. Capcom is a series of fighting games created by Capcom in which characters created by Marvel Comics and Capcom's own characters appear together. While it was the first Vs. series involving Capcom, the Marvel brand exists to distinguish it from Capcom's other Vs. series with SNK (Capcom vs. SNK), and Tatsunoko Production (Tatsunoko vs. Capcom: Ultimate All-Stars). The Marvel characters depicted in these games were often based on their incarnations in various 1990s animated series (particularly X-Men), and were often voiced by the same voice actors. Thor is a 2011 American superhero film based on the comic book character of the same name published by Marvel Comics. It is the fourth film released as part of the Marvel Cinematic Universe. The film was directed by Kenneth Branagh, written by Ashley Edward Miller, Zack Stentz and Don Payne, and stars Chris Hemsworth, Natalie Portman, Tom Hiddleston, Anthony Hopkins and Stellan Skarsgård. The film tells the story of Thor, a god who is exiled from his homeland of Asgard to Earth. While there, he builds a relationship with scientist Jane Foster. However, Thor must stop his brother Loki, who intends to become the new king of Asgard. Marvel vs. Capcom 3 M.O.D.O.K.